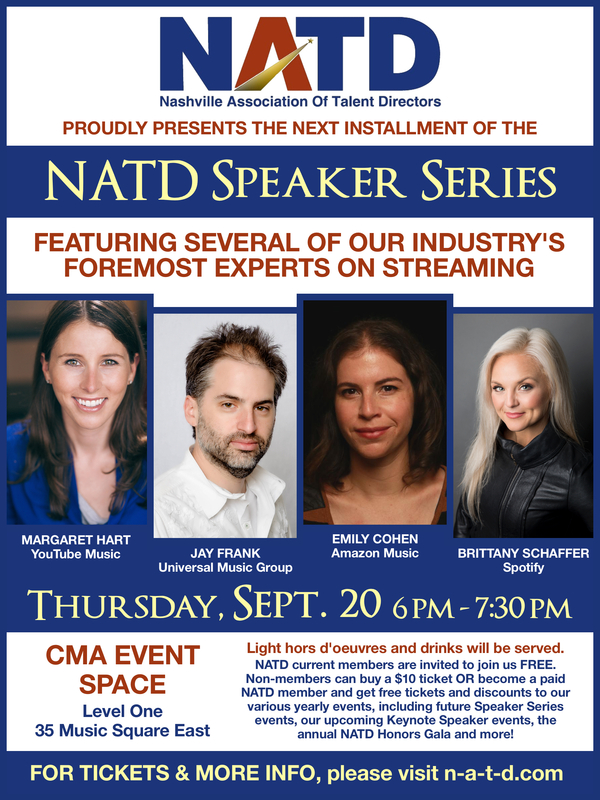 The Nashville Association of Talent Directors has announced the next installment of their “Breaking Artists” Speaker Series September 20 which will focus on streaming and its impact on the Nashville music industry. Panel guests for this installment will include Emily Cohen (Amazon Music), Jay Frank (UMG), Margaret Hart (YouTube Music) and Brittany Schaffer (Spotify). The series will be held at the CMA Event Space, Level One and is free for NATD members; others wanting to attend can purchase tickets for $10 here.